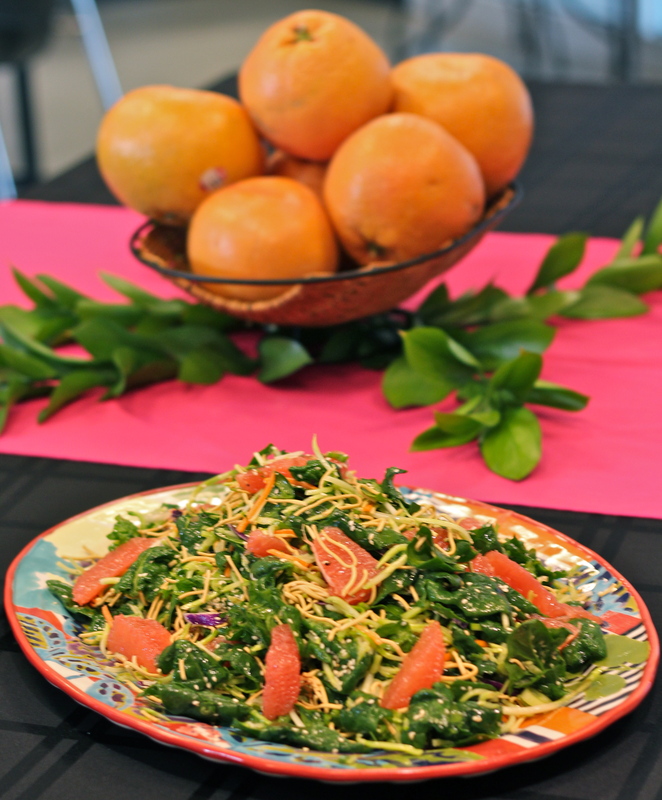 Texas Citrus is sweet, juicy, delicious and, most important, at the peak of the season! 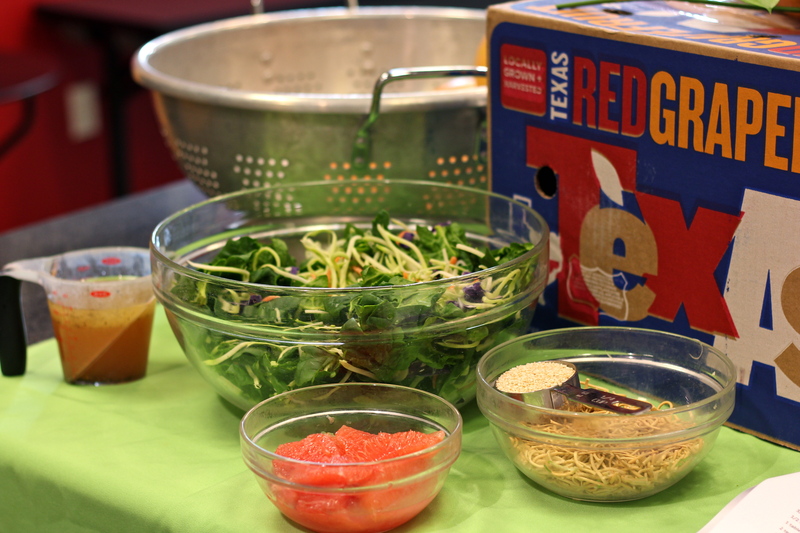 This salad is refreshing and full of texture! In a large bowl, toss together spinach, slaw and onions, then chill. In a small jar, shake together salad dressing, pepper and 1/4 cup of grapefruit juice (refrigerate remaining juice for another use. ), then chill. 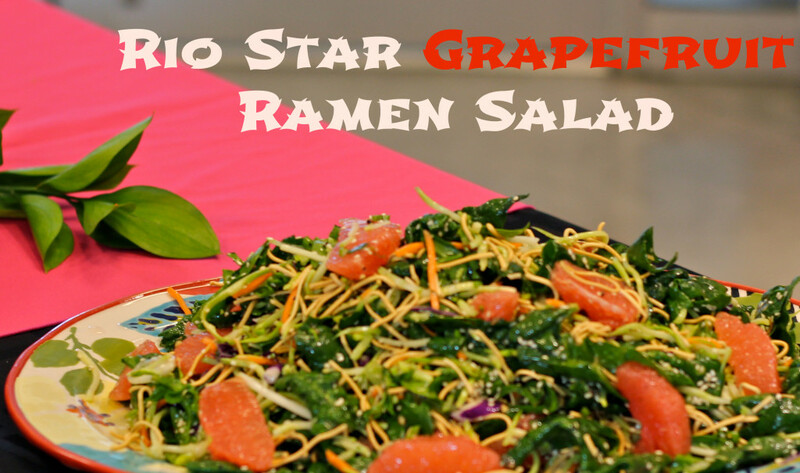 Just before serving, add grapefruit sections, noodles and sesame seeds to salad. Pour in dressing and toss. Serve immediately.